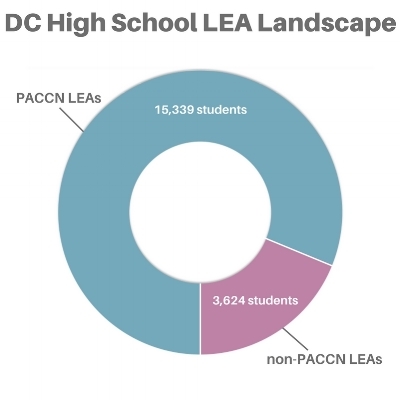 Focused on supporting students on the path toward college, Raise DC's Postsecondary Access & Completion Change Network (PACCN) consists of local education agencies (LEAs – public charter schools and DCPS) and community-based organizations (CBOs) across DC that together represent more than 15,000 high school students. Based on newly released data from OSSE, approximately 35% of students who graduated in 2014* enrolled in postsecondary education within 12 months of high school graduation – down from 37% of the students who graduated in 2013. DCPS saw a similar trend during the same period. However, DCPS has made strides in its outcomes since 2014, and PACCN is working to determine if this is a citywide trend. PACCN identified influencing factors that negatively affect postsecondary enrollment and completion earlier this year. To improve postsecondary outcomes, PACCN will focus on aligning several key citwide practices (below) over the coming year and work to measure the impact of each intervention. Sharing information among CBOs and LEAs: To support information sharing about students that CBOs and LEAs are collectively serving, PACCN recently developed and approved a set of standardized citywide milestones, messaging, and timelines. These materials ensure that no matter which LEA students attend, or with which community-based organization students engage, or at what time of year, students will have access to the same high-quality and relevant information. Coordination and collaboration among college access providers: A collaborative effort is underway to create a public resource to ensure both LEAs and CBOs are equipped with essential information about college access providers in DC and can make informed decisions about partnerships. Standard information in this program locator will include geographic area(s) served, college access-related services offered, existing formal and informal partnerships, primary outcome data, and contact information for lead college access staff. 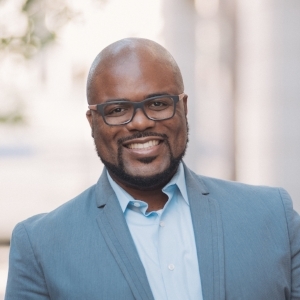 Professional development and training: PACCN is currently working to assess the professional development needs of participating LEAs and CBOs, as well as to determine how to share and scale practices of high-performing local college access organizations through a shared training model.